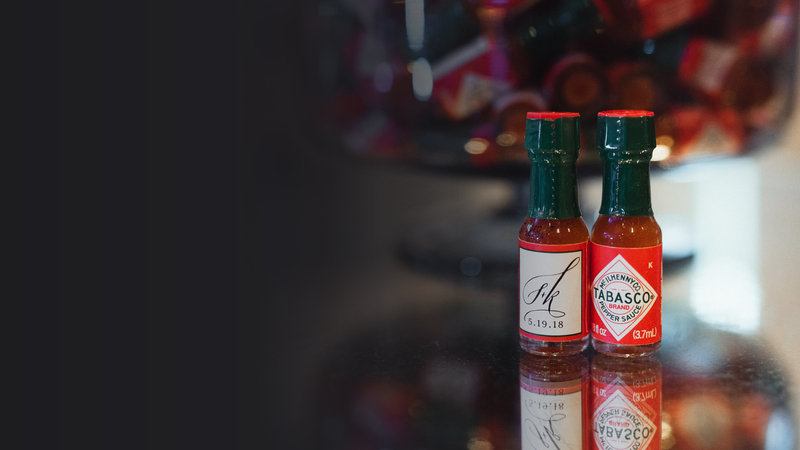 Add a tailored touch to your big moment with personalized TABASCO® Original Red Sauce miniatures. 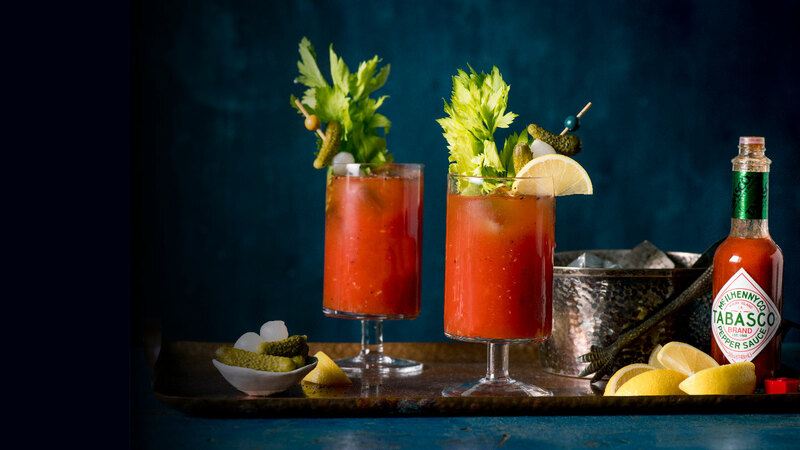 The perfect Bloody Mary starts with our new TABASCO® Bloody Mary Celebration Set. Simply garnish, and let the good times roll. Our super savory, oh-so smoky favorite is back and ready to tingle some taste buds. 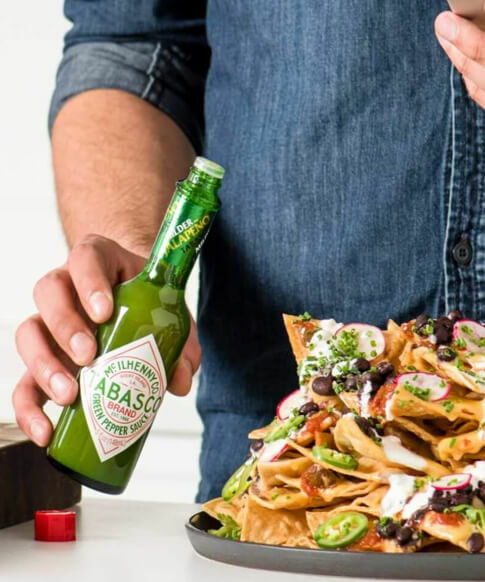 From pepper sauces and spicy snacks to marinades and more, our TABASCO® line of flavors will take your taste buds to the next level. Give boldly. 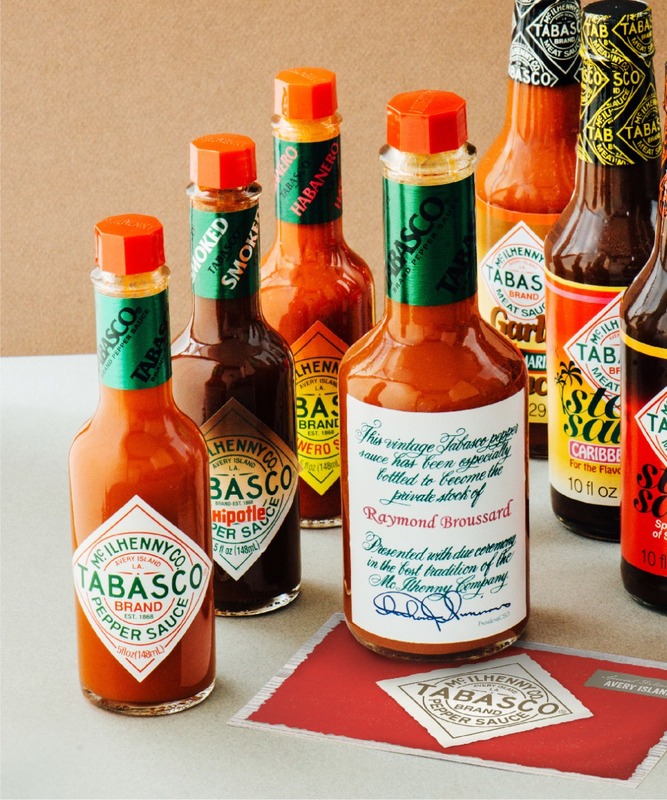 Browse our selection of curated TABASCO® gift sets, apparel and collectibles to find the perfect pick for anyone on your list. 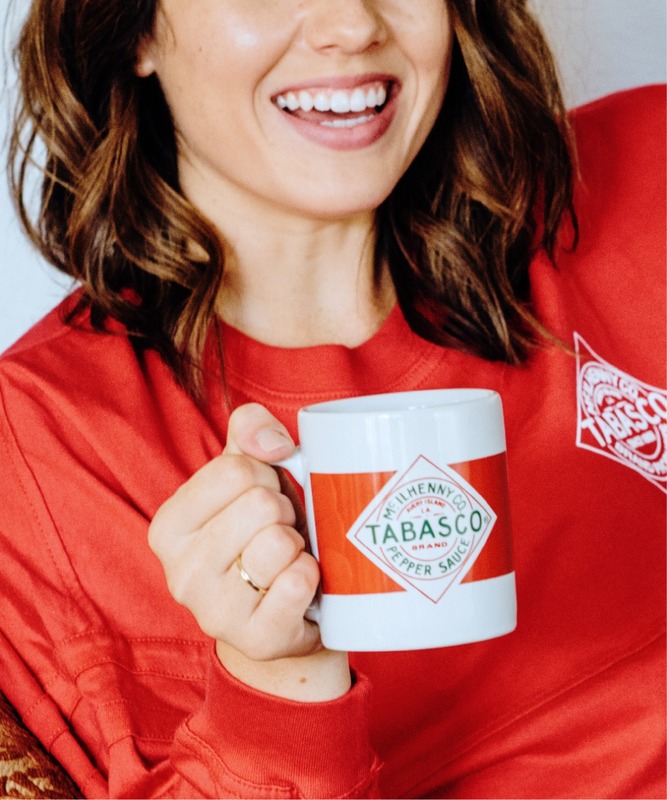 Show the world your TABASCO® love with our collection of branded kitchen tools, office supplies and exclusive apparel. Knock, knock — it’s something new. 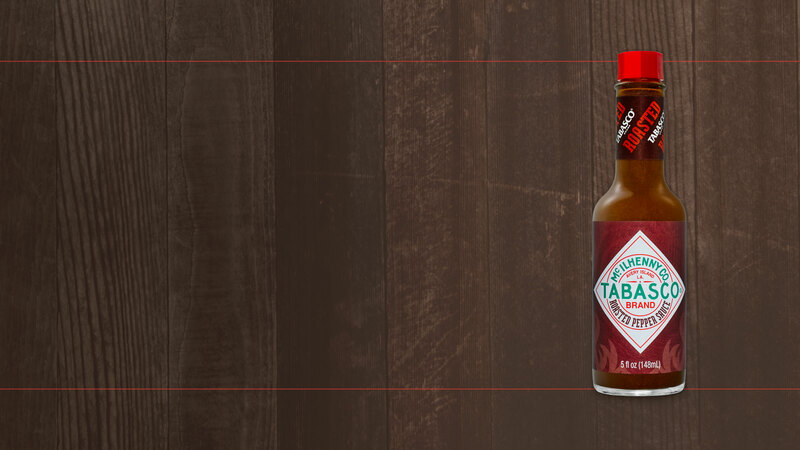 Explore all of the fresh flavors, gear and apparel products to hit the TABASCO® shelves. Wield your sauce like a pro with our collection of expertly crafted TABASCO® appetizers, entrees, desserts, dips and more. From its majestic Jungle Gardens to McIlhenny’s famous pepper sauce factory, experience all the sights, smells and sounds of the birthplace of flavor.